Hello my fellow Silver Shield Group Forum members! I'm "RonInFlorida"! 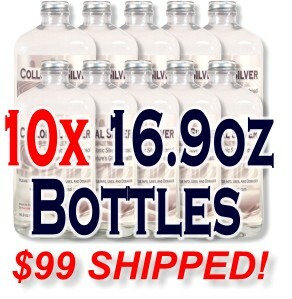 On this page I'm offering a 10 pack of 16.9oz/500ml bottles of pure ionic Colloidal Silver Hydrosol below wholesale for your prepping needs. I know that as preppers, we learn how to make things for ourselves which is how I ended up making my own Colloidal Silver. I researched the internet at a fever pace trying to figure out the good from the bad because I didn't want to pay retail if I could make it on my own. The amount of contradictory information is mind-boggling! Rather than make my own silver generator, I invested in the most expensive commercial unit that only produces silver ions, not salts or large particles that are useless, slightly toxic, or will settle out of solution over time. And I use pure distilled/deionized water. In fact, my unit refuses to turn on unless it detects pure water! Soon after starting to use my "brew", I experienced the Herxheimer Reaction and that was confirmation to me that colloidal silver is truly bio-active and beneficial. Then I looked at my skill set and knew that I could produce my own brand easily because of my background in web design, marketing, etc... So out of my prepping efforts came this product that I'm passionate about and I'm happy to create this offer to Silver Shield Group Forum members! This package represents an exceptionally fair value! And if you would rather sample the product first, please click here for our Trial Offer. Silver Shield Group Forum Members - 10 Bottles/$99 Shipped! You can change the QUANTITY on the next page - Thanks!! Thanks To All My Friends On The Silver Shield Group Forum! 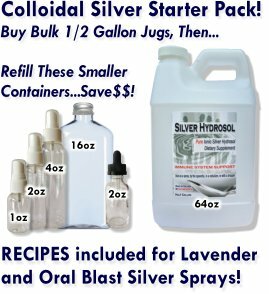 If you would rather learn to make your own ionic Colloidal Silver Hydrosol, please feel free to contact me for helpful hints and guidance. Preppers helping preppers, the Silver Shield Group way! 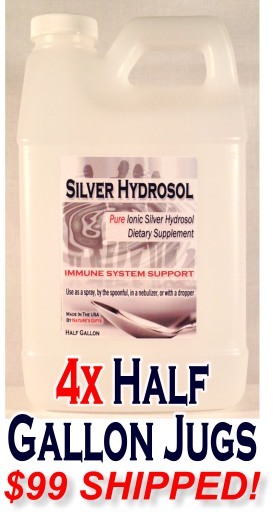 When taking our Colloidal Silver Hydrosol orally, swish it all around the mouth before swallowing! That way you can benefit for better oral hygiene plus you mix the silver ions with saliva which protects them from stomach acid.